The lawyers at the Shannon Law Group believe that every accident and injury victim should benefit from effective representation. It can feel overwhelming, however, trying to learn about your rights and find a lawyer who is right for you. 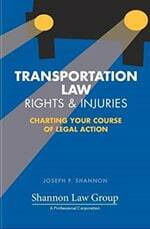 To get started, we offer this free book by our lead attorney Joe Shannon. It is available on Amazon, or feel free to contact us today for a free copy.